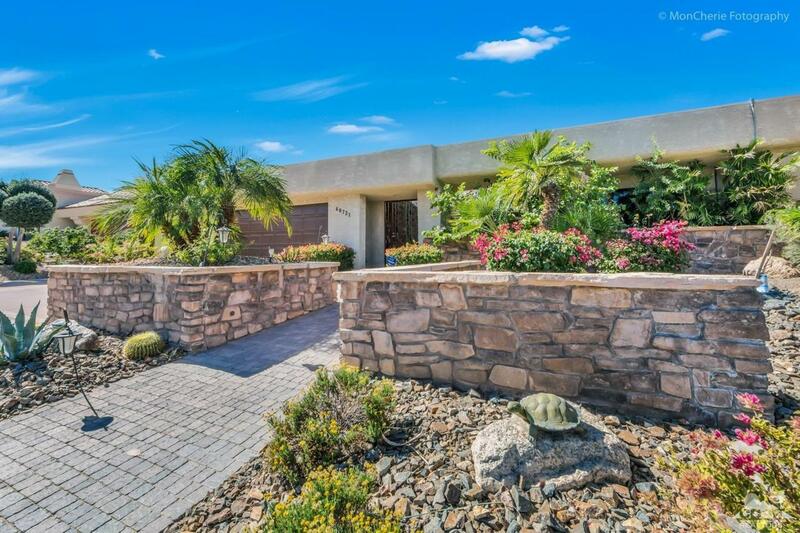 This Magnificent Custom built estate with over 4000 Sq Ft of living space is Nestled in the serene area between Ironwood CC and Bighorn Golf Club high in the South Palm Desert area known as The Summit. Only the finest High end materials were used to create this masterpeice including Travertine flooring, ample High end custom Cabinets made of Alder wood, High end granite kitchen counters, Spacious Wet bar with seating & wine cooler. The Spacious master suite has a Spectacular bathroom w/ Huge walk-in shower, soaking tub, and high end granite everywhere. A Massive master closet with access to the patio. all situated on a 15,000+ sq ft lot with an extraordinary and private backyard. The home features indoor-outdoor living at it's finest. The professionally landscaped backyard includes citrus trees, custom built pool/spa with an amazing Water Feature along with a huge covered patio w/ built-in BBQ that is sure to please. truly a finely cut Diamond hurry this will not last. Listing provided courtesy of Marilyn Schwartz of Homesmart Professionals.